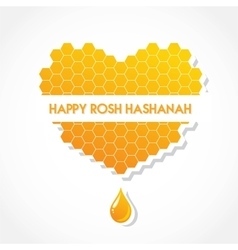 My husband Ed and I along with most of our extended family and friends will celebrate the beginning of the Jewish New Year, Rosh Hashanah, with dinner at our home. On the eve of the holiday, we will light yahrzeit candles in memory of our loved ones who have died. I will also recite one of the few Jewish prayers I remember from Hebrew School. I’ll cry and Ed will hold my hand tight. It is always hard for both of us. And so, once again I am compelled to reexamine my faith, or lack of it. And when I do, I think back to one of our younger daughter’s many hospital stays throughout her six-year battle with cancer. Valerie had been hospitalized at Babies and Children’s Hospital in New York City, this time after surgery to remove her right lung because of metastatic bone cancer. The procedure left our bouncy little eight-year-old pain-ridden and cranky. Her eating habits were always poor but this latest assault to her body suppressed what slight appetite remained. So, when she wanted Oreos, I raced to the hospital cafeteria—Oreos by choice, though any cookie would do—nutrition be damned. In a rush to return to Val, with cookies in hand, I took a shortcut. And, as often happens with shortcuts, this one turned into a drawn-out route through the main lobby of the hospital. On that accidental tour, I passed the hospital’s chapel. A weary-looking woman, her sweater stretched tight over a very pregnant belly, was walking through the doorway. Never noticing the chapel before, I slowed down and peeked in. The chapel lights, turned low, cast a hazy, quiet authority over the interior and urged me to consider, anew, all things theological. Brought up as an Orthodox Jew, I had attended Hebrew School at a conservative synagogue in Connecticut to prepare for my Bat Mitzvah, the ceremony symbolizing religious responsibility for a thirteen-year-old Jewish girl. I rebelled when I was twelve and began to torture my father with an infinite number of complaints delivered in a whiny voice. He gave in before long and I was allowed to quit. No Hebrew School, no Bat Mitzvah. While not confirmed as a Bat Mitzvah, I held a fixed belief in God: my father’s God; the God of the bible stories that I read incessantly as a child; and the God who answered all my prayers—if my father or my older brother Stan didn’t answer them first. Naïve? Perhaps. My immediate family, close-knit but small, included my grandmother who lived in the apartment across the hall from us. Her daughter Edna, my mother, had died at 40 when I was nine years old. I do not remember her. It was my father, my older brother Stan and Granny who doted on and nurtured me throughout my growing years. When he was twenty-six, however, Stan was critically injured in a car accident, and remained unconscious in a New York hospital until his death six hours later. I prayed. Oh, how I prayed for his recovery but although Dad and I were at Stan’s bedside throughout his ordeal, he never awakened. My brother was unable to hear our last parting words of love. That night I lost my best friend. Belief-altering? Oh yes. Stan’s death did that. And so, in a meteoric turn around, the believer within me vanished and I withdrew from anything based on faith. Instead, my secular values rose to the surface as did my ample supply of optimism and tolerance. As time passed, despite a persistent uneasiness about my religious views, I came to trust in the best part of the individual. Multiplied by the vast numbers of humankind, the essential quality of goodness affirmed the core of our humanity. Reality sometimes denies this, I know, but I tend to ignore that. I had never been able to grasp the concept behind that statement. A doctrine about individually controlled human behavior made more sense to me. I understood that. By and by, in searching for further details to structure my earthly opinions, I came across the Hebrew concept of Tzedakah, a charitable conviction that includes a variety of practices, such as giving aid and money for those in need or simply offering a smile or a courtesy. It’s an obligation that rests on rich and poor alike and requires respect for everyone. Thus, we give of ourselves and get back from others. Or not. In any event, it is a good formula to live by. Years later, with Valerie seriously ill, I still tried to be helpful to others, to be as humane as possible and to give what I could, when I could. But after Val’s lung surgery, I found myself calling for—praying to?—someone, something, to deliver my daughter from her dreadful illness. Divine intervention? My father’s God? Fine. I simply needed it done. And like a wartime soldier alone in a dank and dirty foxhole, the disbeliever in me stepped back, just a little, just in case, and left open the possibility of a tender force hovering above and around. Help, however, did not arrive. We lost Valerie to bone cancer when she was nine and our surviving child Stacy died at thirty-seven after a twelve-year battle with breast cancer. If asked soon after, I would have replied that my position on religion had hardened even further. As it turned out much later, it had only altered somewhat. Times change, beliefs bend and thoughts become carefully, if minimally, modified. Today, I recognize that I am clearly in doubt about an omnipotent being watching over us. Yet no doubt exists in my mind that my husband and I will be together someday with our daughters and all of our loved ones. I also know that Dad is watching me from above in every instance religious or otherwise. Is that spiritual? Or is it my personal history and Jewish tradition coming to the fore? The Hebrew concept of Tzedakah, the prayers recited on the holidays, the special yahrzeit candles lit in memory of Stacy and Valerie and our other loved ones, the dinners with our family celebrating the Jewish holidays, and my effort to ensure that they all do happen—a need I am somehow unable to resist—connects me to a faith that remains embedded in my psyche. I am comfortable with that. I am curious, however, about that pregnant woman in the chapel; and my thoughts shift back to that day, not for the first time. I have wondered about her over the years as the questions continue to pop up one by one. Who had she been visiting? Her sick child? A young relative? Did she have strong religious beliefs? What were they? Did those beliefs help her through the tough times? Or was the chapel merely a calm spot in a chaotic universe? I should have asked her back then. Suzann B. Goldstein is co-founder along with her husband Ed of THE VALERIE FUND, a nonprofit organization that supports comprehensive health care for children with cancer and blood disorders throughout New Jersey, New York City and the Philadelphia area. Suzann and Ed endowed and renamed The Rutgers University Cancer Institute of New Jersey’s breast cancer center, the STACY GOLDSTEIN BREAST CANCER CENTER. Suzann has her Master of Arts degree in medical sociology from Rutgers, The State University of New Jersey. She is a freelance writer and poet and has written a yet-unpublished memoir, WHY ME? One Mother’s Story. Suzann can be contacted through her blog www.unexpectedlives.com or her website www.suzannbgoldstein.com.